Police departments across America are sounding the alarm for an impending human resources crisis. There are many departments across the country, especially in rural areas, that are cash-strapped and cannot afford to hire new officers. But others who can and are repeatedly posting job ads find few takers. Agencies post jobs via traditional media, on the state job sites and internet job sites. They also keep in constant touch with training academies and schools that offer criminal justice programs. At times, law enforcement directly approaches promising graduates. Most departments offer a good wage, good equipment, and good training. Some go a step further to offer a signing bonus if they can afford it. 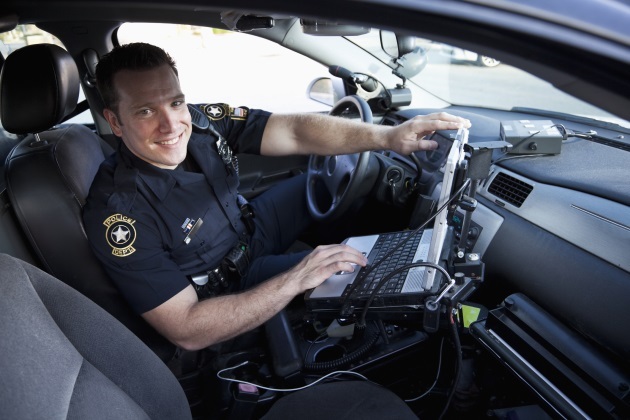 Law enforcement leaders want to highlight the benefits of the job and a high level of job security to attract more talent. Despite these efforts, they are finding it hard to find talent. In some cases, training sessions scheduled for officers are being canceled since not enough applicants are signing up to meet the minimum class size. Most officers believe that changing public opinion and negative attitude towards the police is responsible for less people choosing law enforcement as a career. Social media and digital news reports frequently depict police violence and police-public friction. These factor have had a lasting impact in the minds of regular Americans, who have begun to distrust the men in blue. The negative national discourse involving the law enforcement has had a domino effect. It is true that there are officers who do not follow proper codes of conduct in the line of duty, but their numbers are few and far between. The majority of police officers serve and offer daily assistance that mostly goes unnoticed. The use of dash cams, body cams and cellphones have been enforced to increase accountability and officer safety. In most cases, however, they have put the officers under intense scrutiny with every word and action dissected beyond limits by the public. Not every applicant finds this to be an attractive proposition. Rural towns and counties are particularly struggling with law enforcement staffing. Most work with part-time officers to tackle crime rates as staff numbers for each department continue to reach alarmingly low levels. Many hires stay on for a year or two and then move on. The ones that stay back are aware that they’re subject to calls 24/7, face a lot of stress, long hours and get low pay. What is not readily apparent are the associated repercussions of labor shortages in the police force. These issues may be leading to an increase in organized crimes and drug problems that were once more exclusive to metro areas. Criminals know that they outnumber the officers in rural areas and are fast to move in. Ironically, these criminals sometimes have better funds at their disposal, which allows them to use better equipment and leverage technology in a way the officers cannot. They own sophisticated weapons and are ready to take on law enforcement. The difficulties in recruiting, limited staffing and high turnover rates have led to strange situations. States like Michigan have recently come under the spotlight for having over 3,000 enlisted civilians working as a reserve police force. They work hand in hand with real cops to patrol communities and even arrest people. It is disturbing for many to see these armed and unregulated civilians work alongside the officers licensed by the state. Since few are answering the call to serve in law enforcement, it seems that staffing shortages have led to this development. We should give developments like these a serious consideration since they could be the beginning of new unrest in our country.